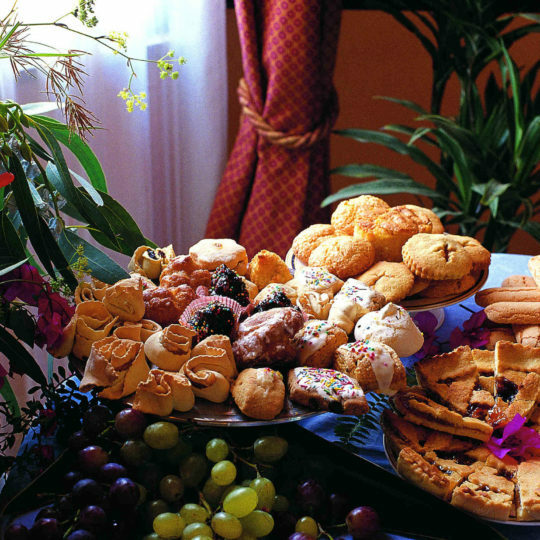 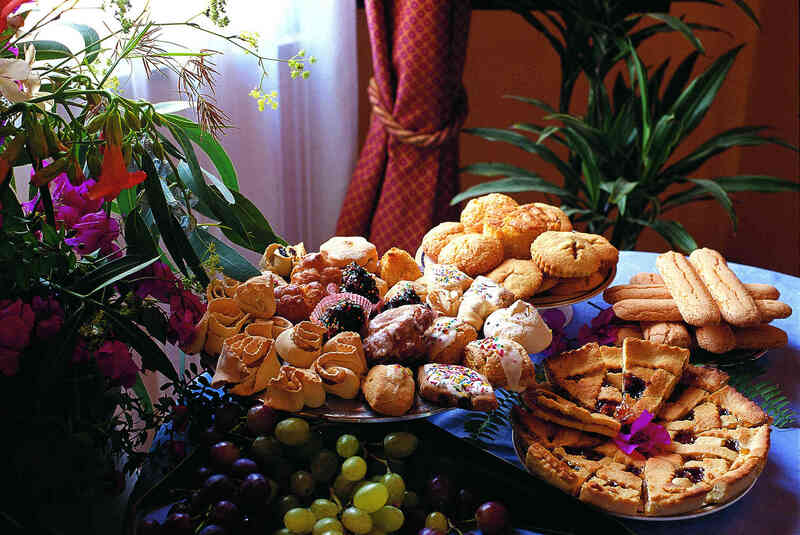 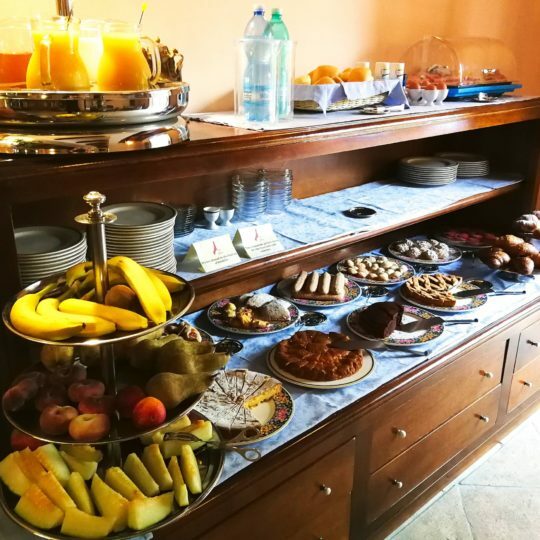 The breakfast is what Hotel Il Vecchio Mulino is best known for. 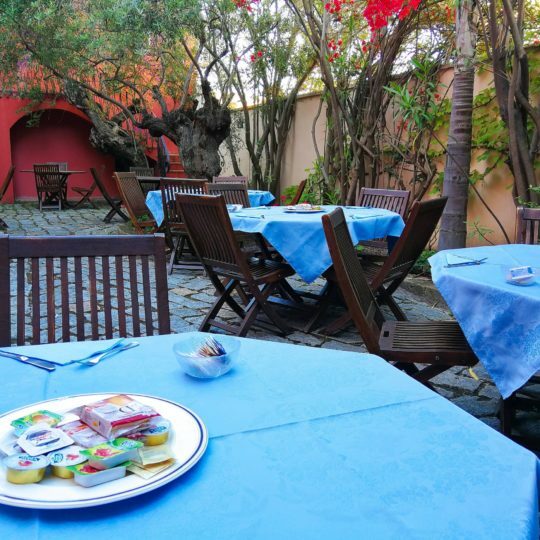 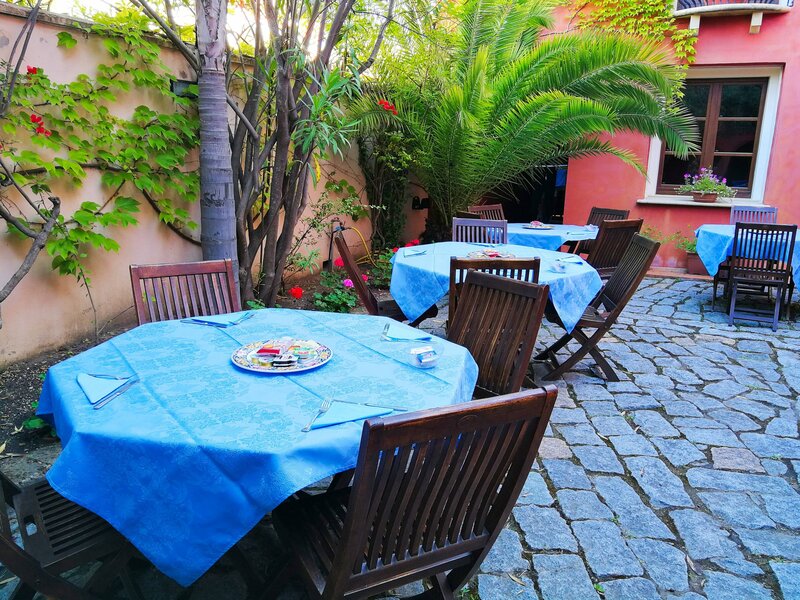 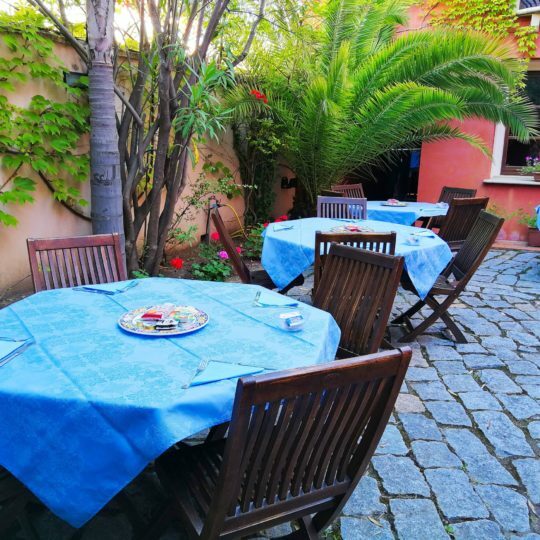 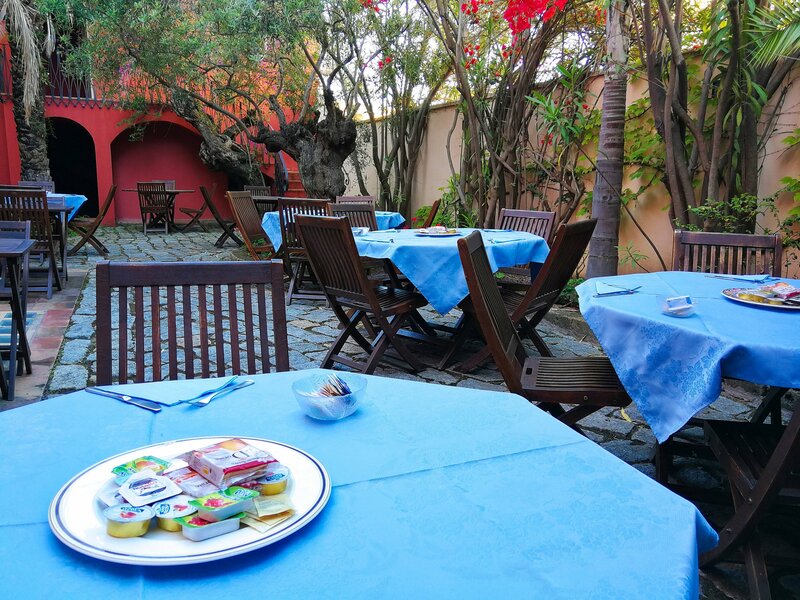 Start your day enjoying our rich breakfast in the spacious and relaxing breakfast room or in the garden, sat under the olive and palm trees and surrounded by the scent of coffe and freshly baked pastries. 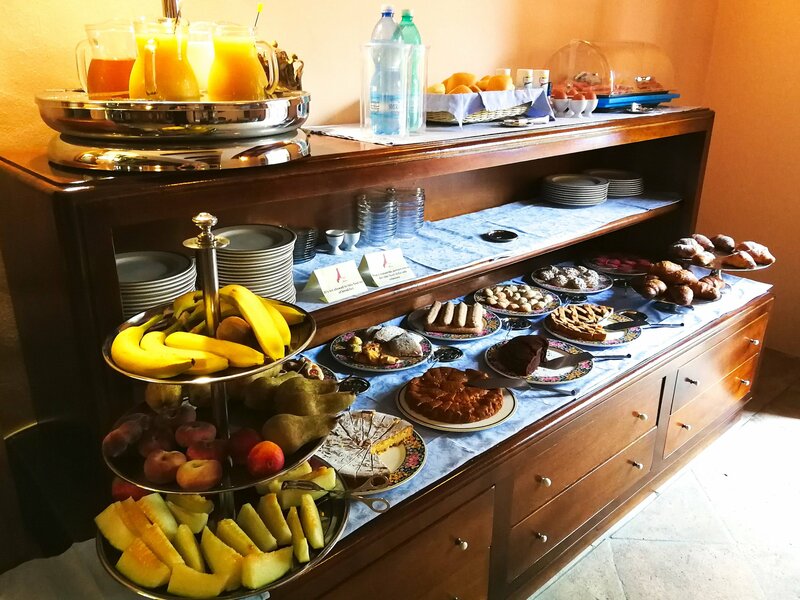 Our rich and varied breakfast offers home-made cakes and biscuits, a vast selection of seasonal fresh fruits, yogurts, cured meats, cheese, eggs, fruit juices and high quality Italian coffe.